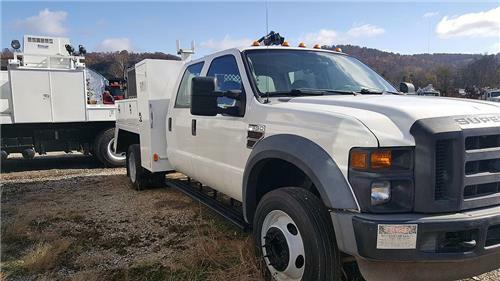 2009 Ford F 550 Crew Cab Service Truck, with Hydraulic Tool Port and IMT Crane. VIN# 1FDW56R39EA24150. This truck is equipped with a 8-Cylinder Diesel Engine and only has 173,627 miles. This truck is also equipped with a Automatic Transmission, and IMT Crane. This truck is super clean.